Fancy your own private island in Fiji? Now’s your chance. New Zealand estate agents, Bayleys Realty Group have three to choose from – all at less than £3 million each. Two of the Islands are in Fiji, the third in Marlborough sounds, NZ. Toberua Island sits two kilometres east of Fiji’s main island of Viti Levu, comes with 1.62ha of land and a 15-bure resort operation that has attracted a number of celebrity visitors recently. 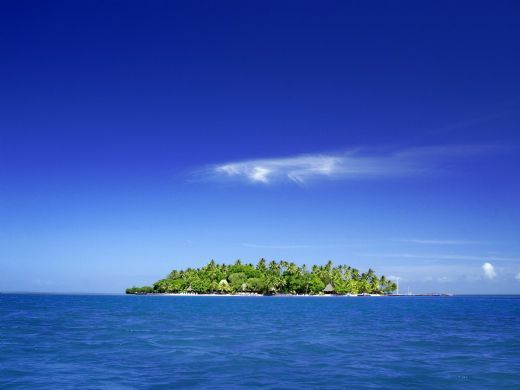 The island, with resort, is for sale for $3.9 million plus 12.5 per cent Fijian value added tax. The other Fijian Island for sale is Qo Qo Island, priced at around £2.7 million and comprising 5.6ha close to the mouth of the Tuva River, on the Likuri Harbour. It is situated 46km from Nadi International Airport and close to Natadola Beach. A causeway connects it to Viti Levu but it can also be reached by a 10-minute boat ride. Currently, the island is used as a private retreat but could be set up to be run as an exclusive small resort. The island is is made up of nine separate freeholds, giving the opportunity to sell on parts, some of which are already being developed.